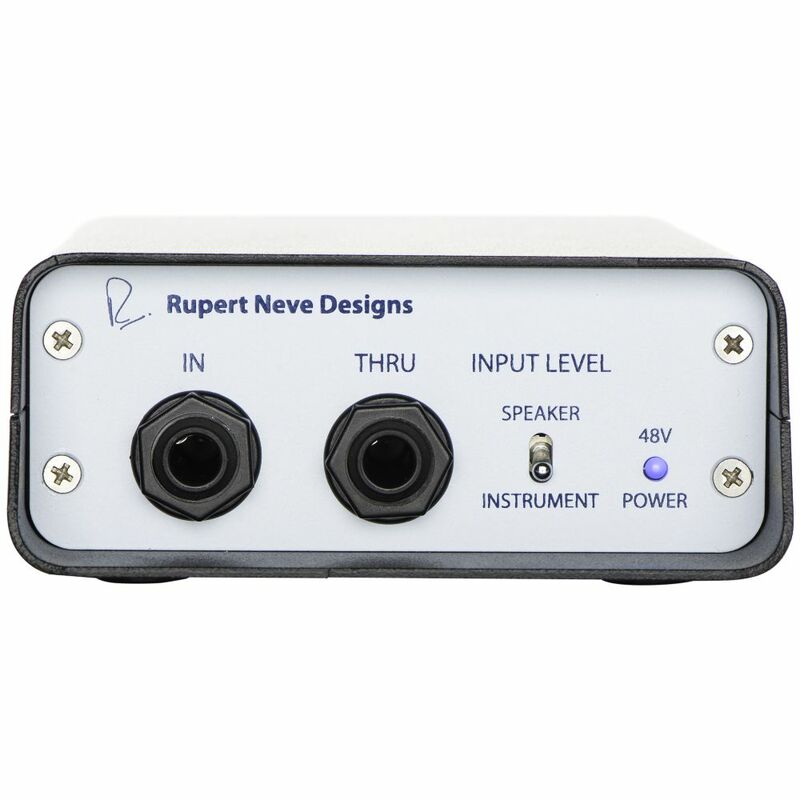 The RNDI’s signature sound is the product of new custom Rupert Neve-designed transformers and class-A biased, discrete FET amplifiers. The carefully orchestrated union of these two elements is key to the RNDI’s unique response, delivering a powerful and vibrant direct sound capable of reproducing the full harmonic depth of basses, guitars, acoustic instruments, and professional line level sources. 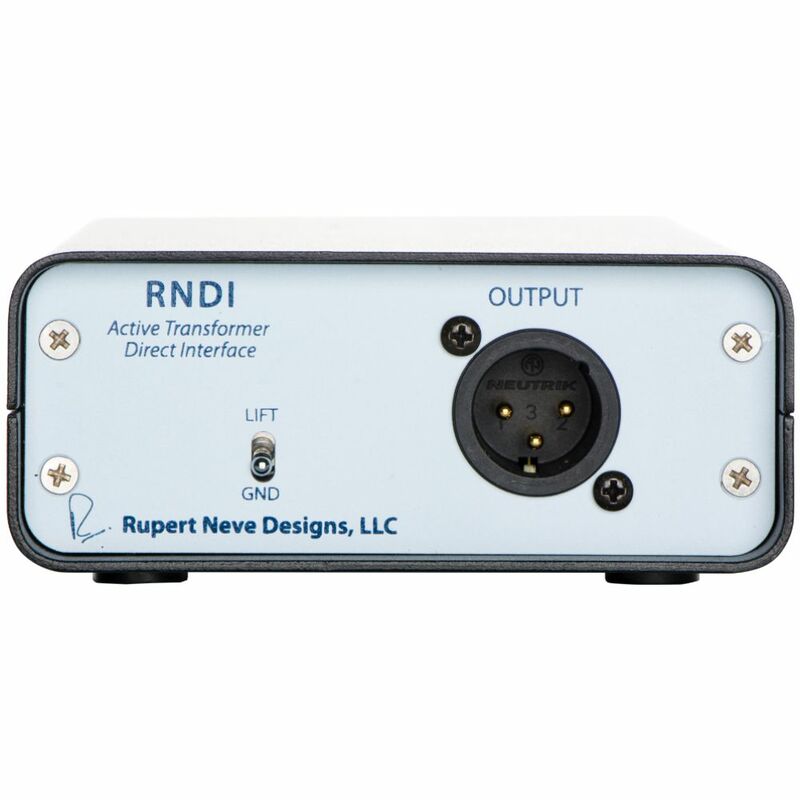 With portable, powerful, larger-than-life tone for your instrument and amplifier signals, the RNDI is truly the first standalone DI worthy of the Rupert Neve name. 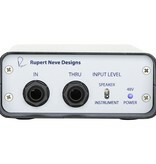 The RNDI’s signature sound is the product both of new custom Rupert Neve-designed transformers and class-A biased, discrete FET amplifiers. The carefully orchestrated union of these two elements is key to the RNDI’s unique response. The transformers provide superior passive isolation while adding musical harmonics and dimension to the sound. The low impedance, transformer balanced output excels at driving long cable runs, and performance is immensely consistent regardless of the connected equipment. 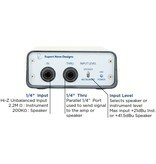 This is very important for both live and studio environments where the unamplified signal may travel almost 100ft before hitting an amplifier. In other designs, these high capacitance lines cause major reductions in high frequencies, however the output stage of the RNDI unrivaled at handling long runs with minimal losses. The class-A and discrete FET amplifier in the RNDI is powered by industry-standard 48V phantom power on the XLR connection, and creates a very high impedance input of 2M Ohms that ensures consistent performance with a wide variety of instruments. 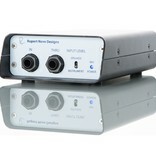 The significance of the RNDI’s class-A design is that there is no crossover distortion added to the signal, which can add upper order odd harmonics to the sound that are musically dissonant in nature. The discrete aspect of the RNDI design means there are no ICs or digital components that can have negative effects on the tone. These efforts to harmonize the performance of the transformer and the FET amplifier have resulted in the RNDI’s extremely well balanced response. The low end tonality is thick and powerful, with frequency response several octaves below audibility. The high end is clear, present, and smooth, with a frequency response extending beyond 100kHz. The phase coherence is unrivaled at all frequencies, which keeps the sound as natural as possible – especially vital when blending the direct signal with a microphone capture of the same source. Simply put, there is no DI ever made that performs like the RNDI. 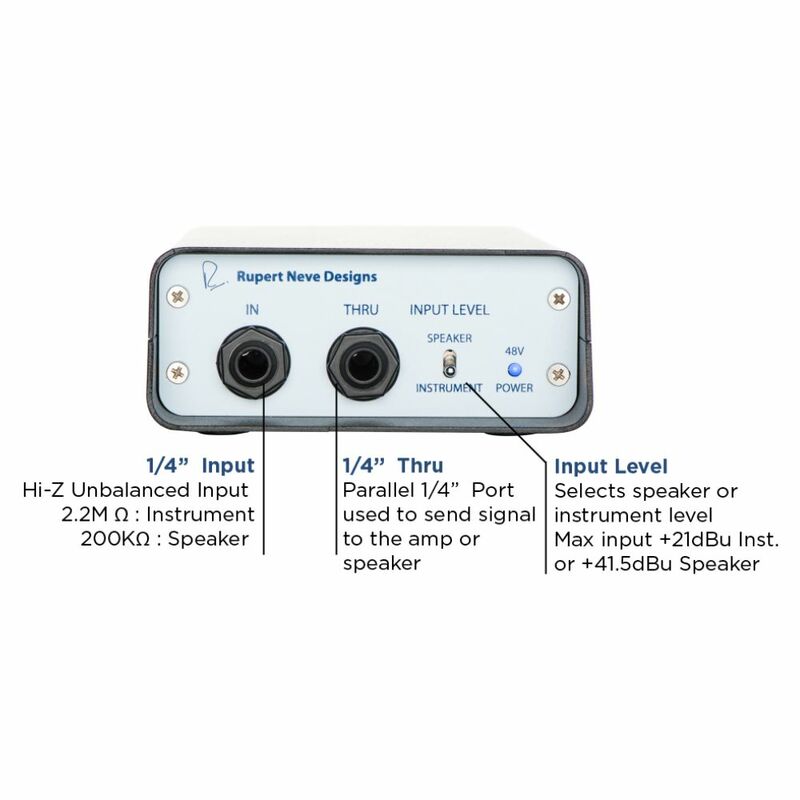 In instrument mode, the RNDI’s high input headroom of +21.5dBU is capable of handling not only instruments, but professional, line level sources like interfaces, CD players and drum machines without a pad. 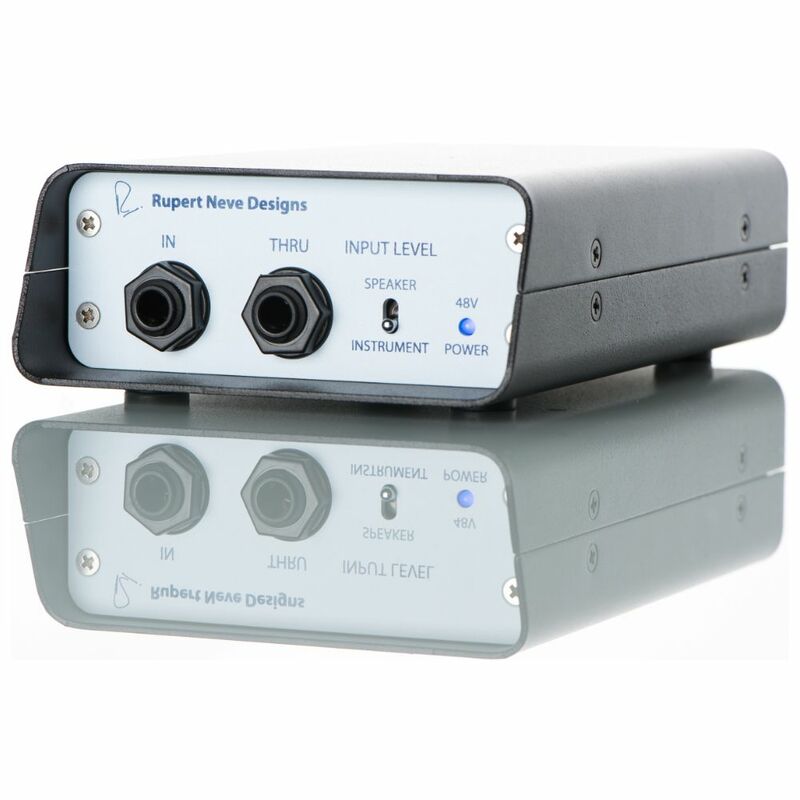 In speaker mode, the RNDI can handle the screaming output of a 1000-watt power amplifier (92 Vrms or 266Vp-p) to capture the full tone of the instrument, preamplifier, EQ, inserts, and the amplifier’s output stages before it hits the speakers. This technique allows the engineer to avoid any bleed in a live environment and any unwanted tone added by the speaker cabinet or microphone. I have been using this on Bass and Acoustics live for about 8 months. I love how well it handles the full range complexity of a bass, plus it is very smooth on acoustic guitars. I have received many notes from players on how much they like their tone using this DI and how well their playing translates in their ears and in recordings.